SCIENCE OPENED A DOOR - SOMETHING CAME THROUGH! This fast-paced Sci-Fi/Spiritual Warfare Novel opens up a world filled with unseen conflict between two irreconcilable ancient forces. Are the human characters in his Engaging Sci-Fi tale "The Players" - or The Pieces on an inter-dimensional chessboard? 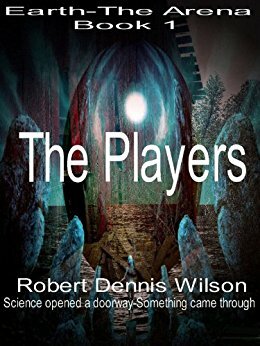 In an attempt to legitimize scientific Psychic research, a university professor and his team attempt to electronically enhance the ESP abilities of two particularly adept students. The first long-distance test is a success! ...but also much more. The experiment opens a pinhole into an unseen parallel universe and, via this temporary portal, a god-like being appears, offering not only to help teach mankind the mysteries of the universe, but also to defend them against an ancient unseen enemy who, for his own nefarious ends, has been purposefully manipulating the entire history of our world.